Hillhead Primary School Glasgow » Fantastic Christmas Show! The children from Primary One, Primary Two and Primary Three recently received rave reviews for their performance in our show ‘All Around the World’. We were delighted at the response we received. 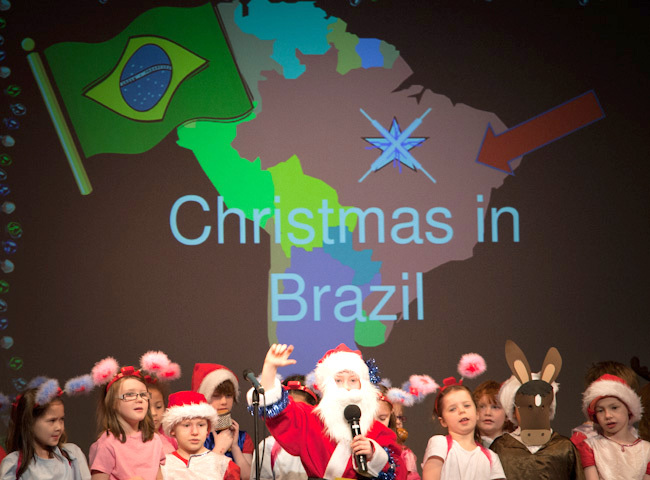 Each of the Primary Two and Primary Three classes performed a song about Christmas customs. These related to Father Christmas and came from a range of countries including, the United States of America, Australia, Poland, Africa and Brazil. We also found out what Christmas means to Christians. Our Primary One pupils created a Tableau of the Christmas Story and performed a song to accompany this. Our grateful thanks are extended to all the children, staff and parents who helped make our show such a big success!